The iPad Air just launched a few days ago, and the general consensus is that it is quite simply a cut above any Apple tablet released hitherto. Everything about the design simply oozes class, and although the iPhone 5s definitely still abides by Apple’s stylish design motif, it’s hard to deny that the iPad Air is a beauty. Ciccarese Design has taken this on board and come through with an iPhone concept created in the image of the all-new iPad Air. Check it out after the leap. The curved aluminum rear and prominent chamfered edges really make for a marvelous looking device, and with the Touch ID fingerprint sensor being specific only to the iPhone 5s at this time, it nicely suits the iPad’s design language. 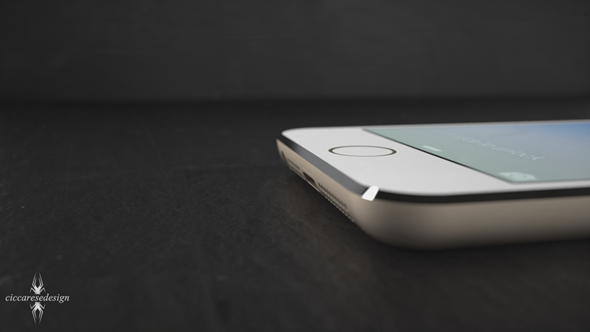 To be honest, the iPhone 5s is a nice looking smartphone, but the concept by Ciccarese Design is considerably better. Seeing these renders makes us really want to hold it, and although we’ve been impressed by some of Federico Ciccarese’s work in the past, this by far exceeds anything we have clapped eyes on before. 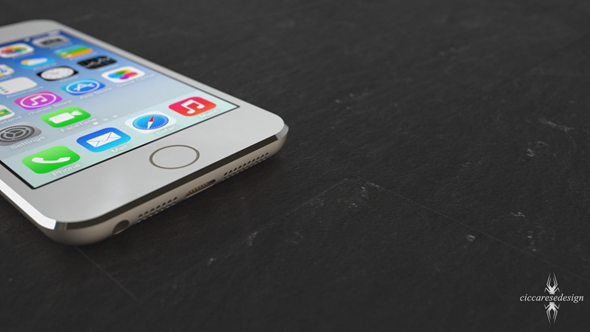 Since the iPhone 5s is, to all intents and purposes, identical to the iPhone 5 before it, the design will need to be updated at some stage. Whether this will happen with next year’s release remains to be seen, but if Jony Ive and his team is planning to go with iPad-esque uniformity, I can’t imagine there would be too many complaints. Of course, as much as it would be nice to see the iPad and iPhone looking so distinctly similar, it might be a bit of a stretch to have both rocking the same form factor. Just as the MacBook Pro has gotten thinner but still looks unlike the MacBook Air, it certainly seems as though Apple likes to apply a slightly different twist to each product, so while we’d be happy with an iPad-iPhone combination across the board, the chances of it happening – based upon recent history – would seem remote. What do you think of Ciccarese’s design? 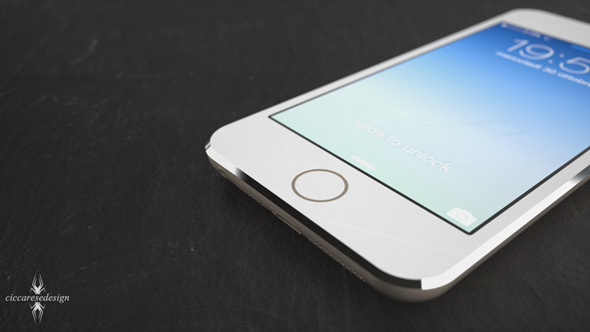 Do you think it is much of an upgrade on the iPhone 5s? Or do you think that the iPhone and iPad should be kept somewhat separate?